Product prices and availability are accurate as of 2019-04-24 11:41:08 EDT and are subject to change. Any price and availability information displayed on http://www.amazon.com/ at the time of purchase will apply to the purchase of this product. The first full biography of one of the twentieth century’s most notorious spies. Donald Maclean was one of the most treacherous spies of the Cold War era and a key member of the infamous "Cambridge Five" spy ring, yet the full extent of this shrewd, secretive man’s betrayal has never been explored?until now. Drawing on a wealth of previously classified files and unseen family papers, A Spy Named Orphan meticulously documents his extraordinary story. 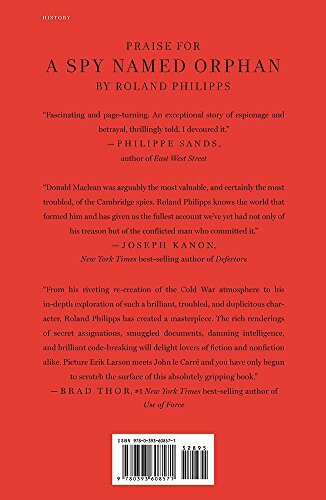 Roland Philipps unravels Maclean’s character and contradictions, informed by a domineering father in a childhood at once liberal and austere. Maclean became infatuated with Communism during his school days, even before his time at Cambridge. A model diplomat, he rose through the ranks of the British Foreign Office rapidly, never arousing suspicion of his chilling double life. He married an American woman despite his sexual ambivalence and increasing antipathy to the United States. He was prone to alcoholic binges that should have blown his cover, yet they never found their way onto his record. A sworn enemy of capitalism, he had access to some of the greatest secrets of the time, transmitting invaulable intelligence to his Soviet handlers on the atom bomb and the shape of the postwar world. 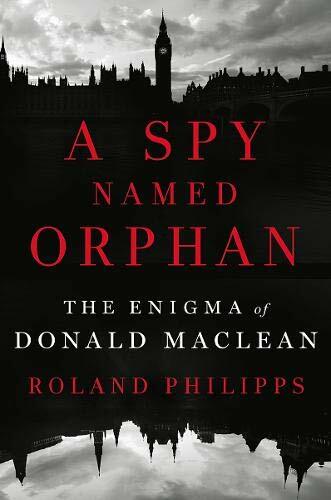 Maclean was a spy who loved and loathed the role. In a brazen escapade, he successfully eluded the incredulous authorities to defect to the Soviet Union, where he worked and lived unrepentantly for the next thirty years. Philipps offers memorable portraits of Maclean’s coconspirators?Kim Philby, Guy Burgess, and Anthony Blunt?as well as the gifted Russian spymasters of the period; a vibrant evocation of Cambridge and London between the wars; colorful descriptions of Maclean’s postings in Paris, Cairo, and Washington, D.C.; and a riveting re-creation of the tense international code-breaking operation that ultimately exposed him. A gripping tale of blind faith and fierce loyalty alongside dangerous duplicity and human vulnerability, Philipps’s narrative will stand as the definitive account of the mysterious and elusive man first codenamed "Orphan."